presented over nearly six weeks. U.S. District Judge Anna Brown instructed the jury they are to apply the law to their verdict, whether or not they agree with the law. “You have to decide the case solely on the evidence presented at trial,” she said. She reminded the jury charges are not evidence and that each defendant is presumed not guilty unless the government proves otherwise, beyond a reasonable doubt. 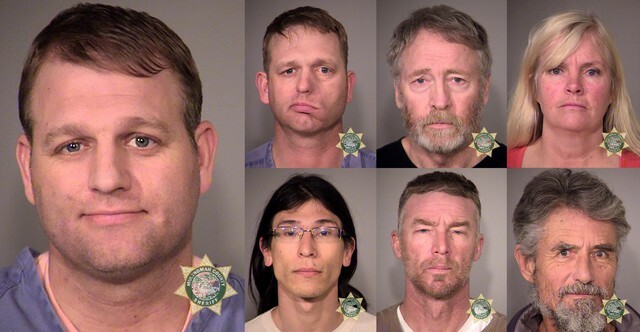 Ammon and Ryan Bundy, Shawna Cox, Neil Wampler, David Fry, Jeff Banta and Ken Medenbach are charged with conspiring to prevent federal employees from doing their jobs at the refuge. Some of the defendants have also been accused of stealing government property and carrying firearms at the refuge. Brown told the jury that defendants facing gun charges cannot be found guilty on those counts unless they are also found guilty on the conspiracy charge. Prosecutors presented their closing argument first. 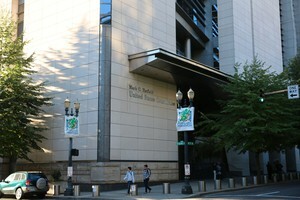 Assistant U.S. Attorney Ethan Knight attempted to show defendants intended to prevent federal employees from going to work. “At the end of the day, there is an element of common sense that demonstrates the guilt of these defendants,” Knight said. Knight also said no formal agreement was needed to constitute a conspiracy. Quoting Ammon Bundy’s testimony, Knight said occupiers “‘were all there for a unified purpose.’” For the defense’s part, Bundy’s attorney Marcus Mumford said in closing that that “unified purpose” was to defend ranchers Dwight and Steven Hammond. 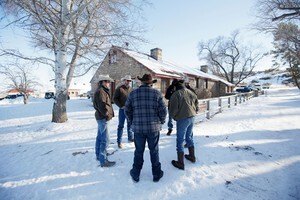 Knight argued that soon after an occupier arrived at the refuge, he or she learned people worked at the refuge and that occupiers’ presence prevented them from performing their duties. The prosecution rattled off the names of people who worked at the refuge and their responsibilities there. Knight tried to show the defendants did not value the work done at Malheur. Also disrupted, Knight argued, were the lives of everyday citizens in Burns, Oregon. The prosecution played the clip of Ammon Bundy in Burns, encouraging protesters to take a “hard stand” at the refuge. The prosecution also praised Harney County Sheriff David Ward and other law enforcement. Knight lauded what the government sees as officers’ de-escalation efforts and reluctance to engage. 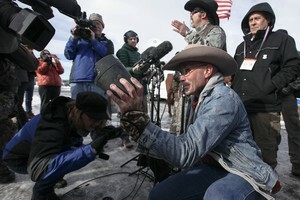 He also spoke specifically to the shooting of Robert “LaVoy” Finicum, saying law enforcement “reacted and did the best they could.” Jeanette Finicum, LaVoy’s wife, shook her head in the gallery. Ammon Bundy’s attorney, Marcus Mumford, led off closing arguments for the defense. The other six attorneys — including defendants representing themselves — will follow. Mumford’s closing argument painted Bundy as another victim in a long line of federal overreach. He said Bundy tried other methods before the occupation to raise concerns with government officials. Mumford pointed to the original protest in Burns, Bundy’s correspondence with Sheriff David Ward, and even the 2014 standoff in Bunkerville, Nevada, as means Bundy pursued to garner attention. Mumford said it was an “honor” to represent Bundy and that his client has been wrongly accused of conspiracy. Bundy’s attorney put the onus on the jury to put an end to what defendants see as outsized federal authority. Mumford also raised issue with the government’s use of confidential informants, something the defense discussed Monday in court. The defense has argued that whether or not those informants were all at the refuge matters because it speaks to the credibility of what the informants saw. “There were more confidential informants at the refuge than defendants are here in the courtroom,” Mumford said. Mumford has said he may take as long as four hours to make his final arguments to jurors. He was explicitly informed by the judge not to exceed four hours. Throughout the trial, Mumford has tried to tell his client’s larger life story. He said in court he wants to give the jury context for why Ammon Bundy did the things he did in Harney County. At this point, it’s likely the 12 deliberating jurors will get the case Wednesday. From there it’s anyone’s guess how long it will take for them to review the evidence and make decisions. Subscribe to “This Land Is Our Land” on NPR One, Apple Podcasts or wherever you find your podcasts. 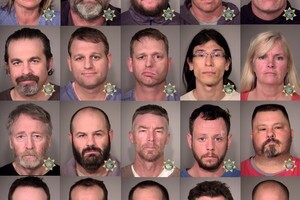 Find comprehensive trial coverage at OPB.org/ThisLand. Share your thoughts on the trial with us on Facebook and Twitter, or by emailing us directly at thisland@opb.org.